This beautiful ranch property is the perfect place for a horse training/boarding facility. 9 covered stalls, 2 round pens, 2 arenas, 13 turn out paddocks, 3 stall mare motel and much more! Home features log siding, central heat & air with a Heatmor system that really saves on the heating bill in the winter. Open living room with fireplace and large kitchen. Part of garage converted to inlaw quarters. Custom aviary and many fruit trees. Driving Directions: Hwy 108, turn right on Draper Mine, turn right on Soulsbyville Rd and right turn on Yost Ranch Rd. Property at the top of the hill on the right. 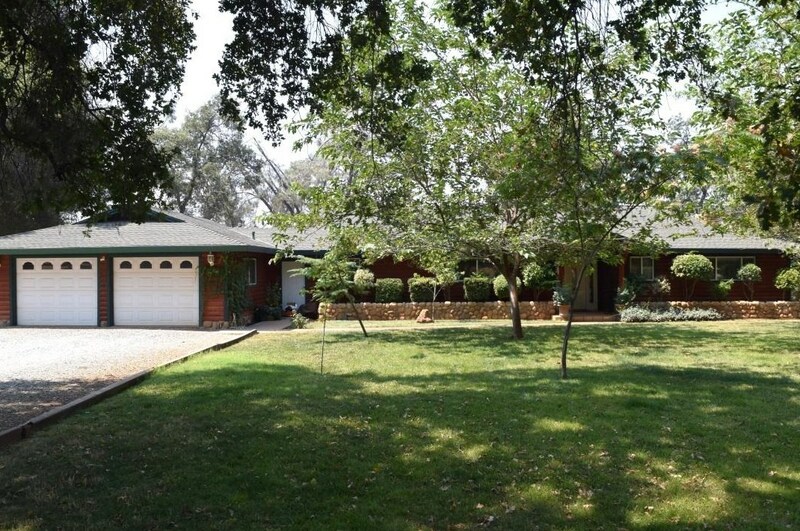 19110 Yost Ranch Road, Sonora, CA 95370 (MLS# 18055375) is a Single Family property with 3 bedrooms and 3 full bathrooms. 19110 Yost Ranch Road is currently listed for $749,000 and was received on August 10, 2018. Want to learn more about 19110 Yost Ranch Road? Do you have questions about finding other Single Family real estate for sale in Sonora? You can browse all Sonora real estate or contact a Coldwell Banker agent to request more information.